Regolabile tracolla. IL TESSUTO E' VERA PELLE BIOLOGICA CREATA PER RISPETTARE L'AMBIENTE CON PRODOTTI NATURALI. QUESTA è LA VERA PELLE CHE DAL 2017 USANO TUTTE LE PIU' GRANDI MARCHE. -Alta-qualità PELLE e vacchetta originale-eccellente. Zaino tecnico blu Pepe Jeans Viaggio Scuola Porta Computer Pc Laptop 13.3" adattabile a trolley 40x30x9 Cm uomo donna. Scomparto principale con spazio per il laptop fino a 13,3 pollici. Condizioni di Vendita. Matière: cuir Agneau. Sacoche en Cuir Vachette. Sacoche en cuir véritable d'agneau. Haute Qualité en cuir véritable. Une poignée porté main. Bandoulière ajustable pour porter sur l'épaule ou poignée porté main. Top Qualität!Expressversand! Large und Small!ORIGINAL! LARGE BUM BAG WAIST TRAVEL POUCH LEATHER. Soft Leather Bum Bag. Large Bum Bag Leather Waist Travel Pouch. 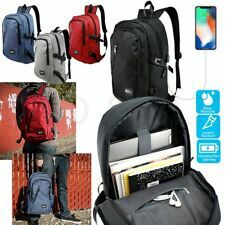 Very convenient for traveling. This is for orders for the UK mainland excluding the Highlands, remote areas and all off-shore locations. Fabriqué en FRANCE. Format plié 85mm X 125mm. 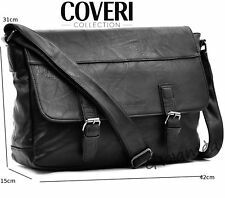 Made from soft black leather and featuring multiple pockets, this small but robust man bag or pouch is highly practical. 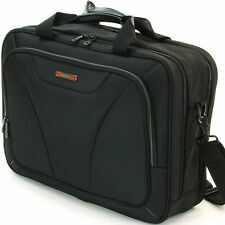 The bag is soft leather and has 1 main pocket and 4 zipped pockets, 2 on the front of the bag and 2 on the back. We will always help you to have a 100% positive happy buying experience. Size - SMALL. Zip pocket 17cm x 15cm. 1 Lower velcro flap bellow pocket 14cm x 10cm (depth 3cm). Olive military style bread bag, made from 100% cotton canvas, with two fastening buckles, shoulder strap with buckle and fastening ties. 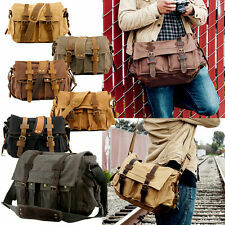 Military Style Olive Canvas Bread Bag. Official Scuderia Ferrari. 2018 Team Portable Shoulder Bag. Ferrari prancing horse silicon logo. Adjustable shoulder strap. Front zip pocket. Featuring 2 top handles so you can carry your laptop bag using the carry handles or the detachable shoulder strap with new anti-slip feature to prevent it from sliding off your shoulder, while it's also possible to secure it to a trolley when travelling. Top grab Handle. Large, gusseted front laundry/shoe pocket placed at bottom of bag. Water-repellent front valuables pocket to keep your stuff safe. Two side water bottle pockets. New arrivals. With over 20 years experience, Urban Surfer strives to be your first choice in skate, surf, snow and lifestyle clothing, shoes and accessories.